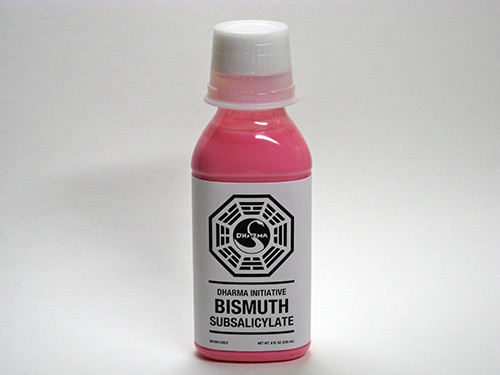 I’m not sure why the DHARMA Initiative Ranch Composite we have at The Hut is different than the Ranch Composite that gets shipped to DI stations on the island. Key differences: size – 13 ounces at The Hut, 1 gallon on the island; and, refrigeration – yes for The Hut, no for the island. The DI Ranch Composite delivered to the island is supposed to be good for 7 years without refrigeration. Seven. Years. Without refrigeration. Now that is a remarkable scientific achievement. 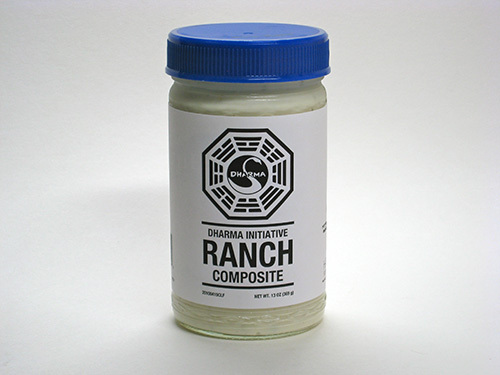 DI Ranch Composite + french fries = delicious… If only there were DHARMA Initiative Oven Baked French Fries. Miss T, not being a blue cheese fan, disagreed. 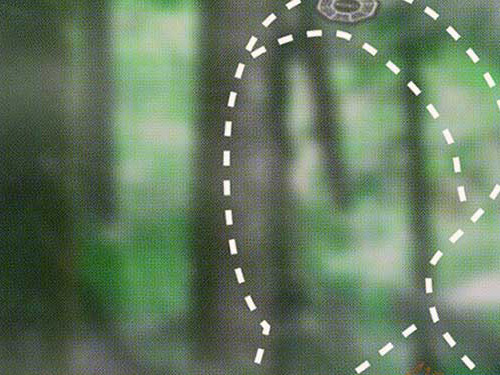 This worked in my favor—more for me! …as seen on my desk shortly before I ate it. …in front the building this week. In mid-March, when the Bay Area’s weather briefly turned summerlike—it has since returned to late-winter temps—Miss T and I visited Pier 14 along San Francisco’s Embarcadero. As usual, just click the thumbnails or view 10 Pier 14 photos at maxpixpix on Picasa. 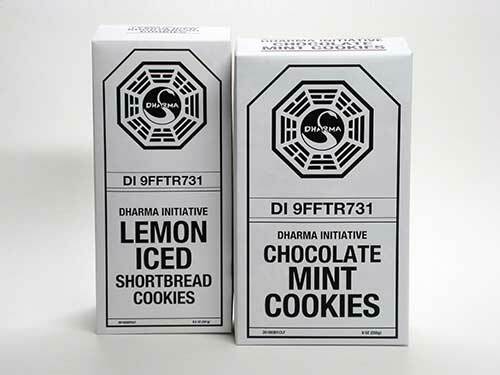 It may have been the DHARMA Initiative Mixed Fruit or the DHARMA Initiative Crackers and Cheese (or a combination of the two), but last week something had my stomach churning worse than an island jumping through space-time. Miss T suggested that I try to get to The Staff for a checkup, but first I checked through the last Periodic Resupply Drop crate that landed in the back yard. It took two doses of the pink stuff, but in an hour everything was gastrointestinally back on track—like a record needle settled firmly in its groove. 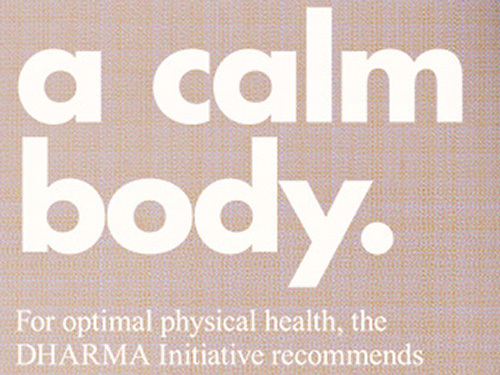 Like this 1972 ad says, DI Bismuth Subsalicylate will help you achieve “a calm mind and a calm body.” Namaste. Chef’s sushi mix (above) and a River Cat roll (below) from Miso Japanese Cuisine.